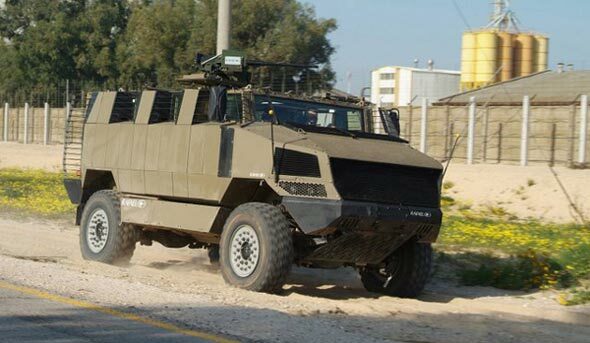 Responding to the need for wheeled armored vehicles for use in asymmetric warfare, RAFAEL developed the Zeev (Wolf) armored utility vehicle. More recently, RAFAEL teamed with US based PVI and the Merkava program Office (Mantak), to develop the Golan Heavy Wheeled Armored vehicle. This 15 ton armored, wheeled troop carrier is configured to accommodate 10 troops in a highly protected environment. Golan has been proposed for the IDF and USMC. Testing of the vehicle began in September 2006. In January 2007 Golan was selected, along with nine other candidates, to compete for the Joint US Marines/NavyArmy Mine Resistant Ambush Protected (MRAP) Program. PVI is leading the team for the MRAP opportunity while RAFAEL is in the lead for Israeli and other overseas sales. 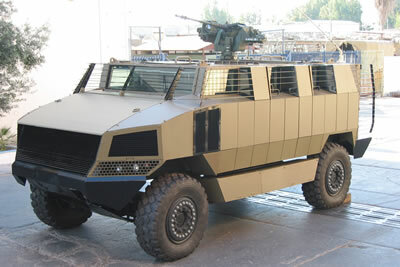 On February 23, 2007 the USMC awarded PVI a first order for 60 low rate initial production vehicles, representing the first order for Golan vehicles. 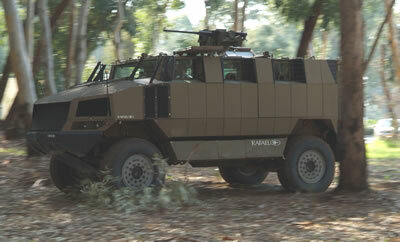 The vehicle uses an armored monocoque structure. The integrity of this structure provides the strength to absorb the deformations generated by mines and IED blasts. The V shaped hull has a “floating floor” panel to mitigate the blast effects of mines. It thereby provides an optimal solution to protect the crew and vehicle against the identified threats. The vehicle has an effective armor suite to defeat small arms and RPG threats, medium size IED’s, 7 kg mines under belly and 14 kg under wheels. The spall liner was eliminated, assuming the efficiency of external armor to prevent hull penetration by most threats. Unlike vehicles utilizing off-the-shelf commercial chassis, the Golan does not have a chassis at all. Instead, the 4×4 automotive system axles, and suspensions link directly to the armored structure, which acts as a frame. This approach is similar to that used with tracked APCs and tanks. 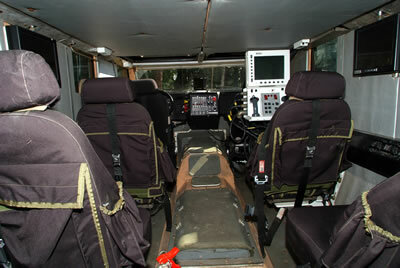 It retains good off-road mobility, and is particularly suitable for operations in dense urban terrain. 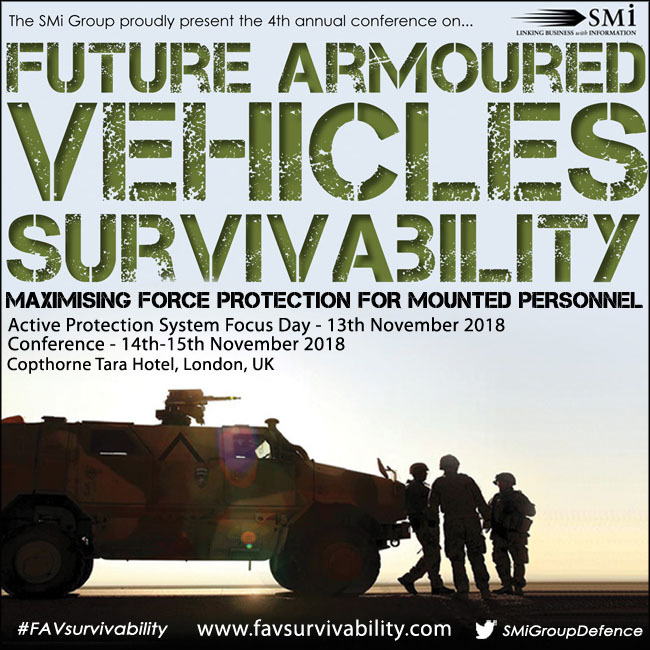 This approach enables the designers to dedicate 50% of the vehicle’s weight to protection, providing effective protection from IEDs, land mines and small arms. The vehicle will be produced in three protection levels. The intermediate level provides protection from small arms, up to 14.5 mm AP and 20mm, and effective roof protection. The passive armor utilizes a combination of protection technologies including metals, composites, slat and transparent armor. The maximum protection level includes reactive modular armor tiles while the medium and light levels are based on passive modular armor. Protection from anti-tank rockets (Such as RPGs) can be provided by appliqué reactive armor modules or an active protection system which are “plug-in” add-ons to the basic design. Other “plug-ins” include counter IED and counter sniper systems. The add-on reactive armor system utilizes the Insensitive Explosive Reactive Armor (I-ERA) tiles installed on the side walls. The I-ERA is based on the same technology provided for the US Bradley Infantry Fighting Vehicle. The reactive (I-ERA) add-on armor is an insensitive explosive known as Low Burn Rate (LBR) or Low Flammability (LF2) that was approved by both the Israeli Defense Force and the US Army. All three protection level configurations present the same physical silhouette. In the light and medium level configurations, there are no reactive armor tiles attached to the outer crew compartment structure. In their place, passive armor tiles (that include storage boxes) with an identical outer shape are attached. 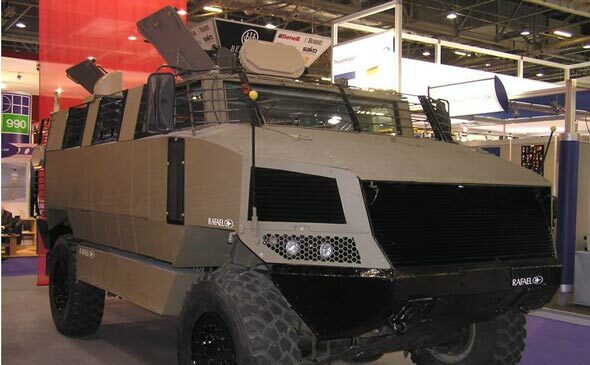 The vehicle can be equipped with remotely controlled weapon station mounting a machine gun, and optronic equipment, as well as the gunshot detection system. 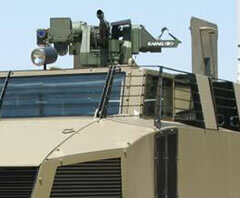 September 2007: The Golan was displayed here at DSEi 2007, equipped with a new lightweight version of the Trophy active protection system and the ‘Samson Junior’, a lightweight weapon station designed specifically for light automatic weapons (7.62 and 5.56mm). The vehicle was also fitted with an acoustic gunshot locator, utilizing RAFAEL’s SADS system. 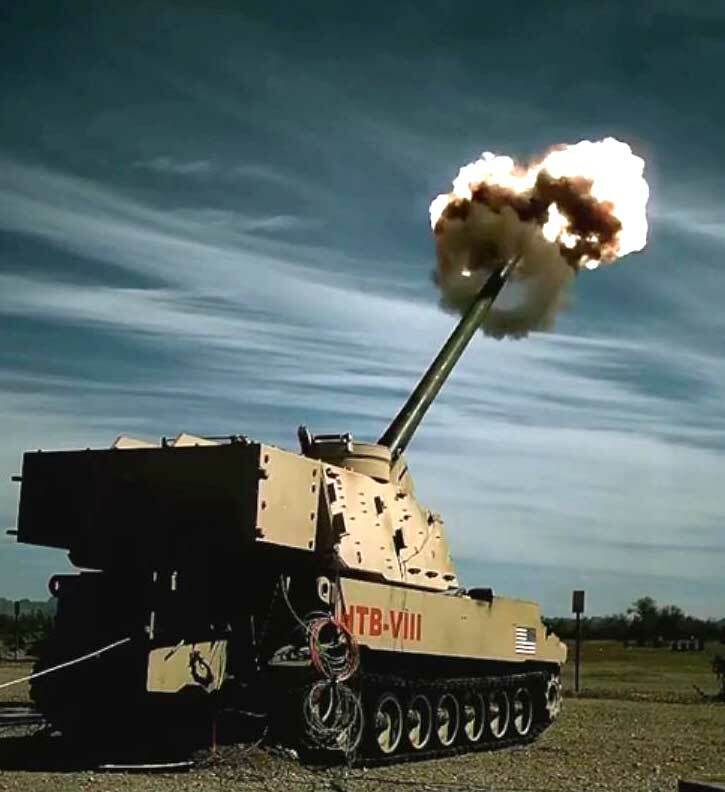 It will also be able to employ the company’s Spotlite M – electro-optically based threat locator which can serve as a gunshot locator, and threat alerting system, as it can detecting launch sources and approaching RPGs.